Samsung’s latest Note 5 is out and about. It’s a nifty little device, except it has one Achilles’ heel: Inserting the stylus backwards can break the damn thing. It seems ludicrous. The pen slides in just as easily backwards, clicker first, as forwards, point first. Now, 99 times out of 100, this will never happen. But as Android Police points out, if a kid or even worse, a drunken friend gets a hold of this—let’s just say crazier things have occurred in the universe. Android Police caught the whole process in action. What happens is when the pen is inserted the wrong way, it gets stuck in the stylus port. 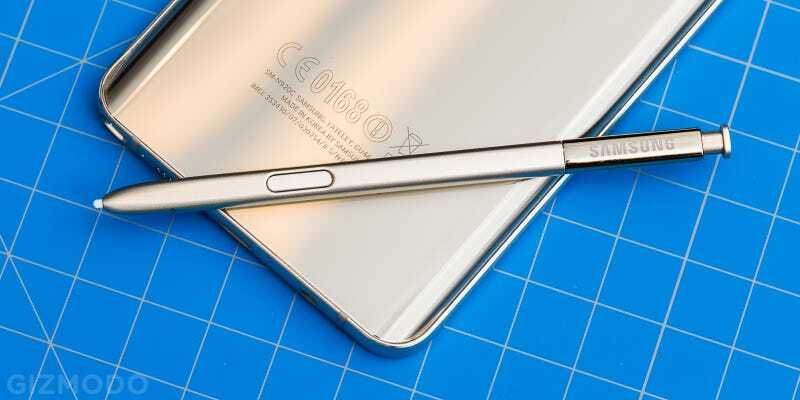 With a lot of elbow grease, you are able to take the pen back out eventually but the smartphone will no longer be able to recognize when the S-Pen is in the port. This makes many of its neat automatic functions—like launching Air Command or bringing up S-Note from the lock screen—completely useless. It’s a design defect and Samsung has yet to respond to our questions regarding the flaw. We’ll update when we hear more. But if you happen to have a Note 5, make sure you practice safe smartphoning. as Ars Technica points out, there is no mention in the user’s guide included in the Note 5 box. However, Ars did fine this little tidbit buried online, which doesn’t seem immensely helpful.